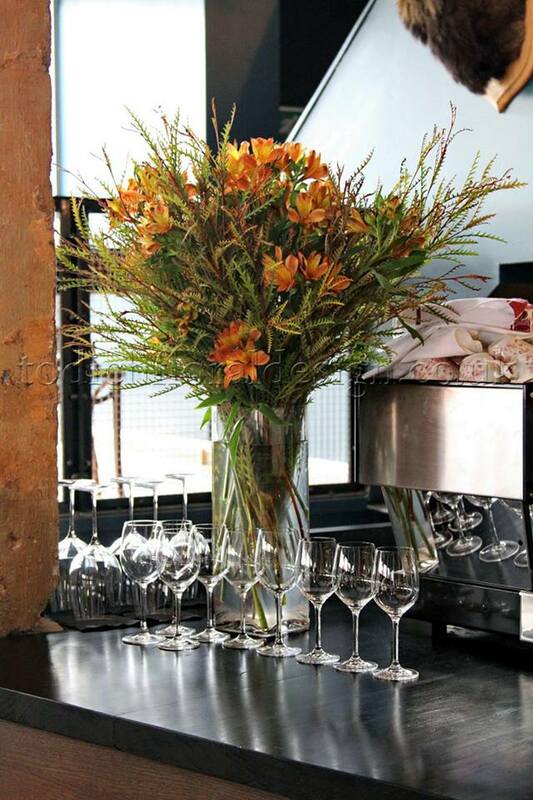 TFD » Blog » Posts tagged "autumn decor trends"
Home Décor Trends for Autumn 2015 – Corporate Flower Arangements. As the nights get longer and leaves begin to fall, Summer’s vibrant blooms are quickly exchanged for autumn rustic reds, rich oranges, golden yellows and oranges. Autumn offers beautiful warm tones and striking seasonal foliage. It’s an extraordinary time of year, and here at Todich Floral Design we’ve put together some floral arrangements that truly captures the essence of autumn with our collection of home décor trends for 2015. Rich hues, unique decorations and plenty of texture are the latest home decor trends for this season. Bring the outdoors in this autumn with our beautiful flower arrangements. Our new home décor trends, include a variety of textures, shades and scents that perfectly embody autumn’s rich tones. Unlike like summer’s palate of bright shades, autumn is full of depth, richness and character. This season offers a variety of trending elements, beautiful berries, fruits and twine which add plenty of texture and compliment bouquets beautifully, to reflect the season. Carefully hand created and bursting with colour, our vibrant arrangements make an exquisite addition to any indoor space. Autumn brings a variety of trending elements, beautiful berries, fruits and twine which add plenty of texture and compliment bouquets beautifully to reflect the season. Whether you’re looking to decorate your home or send the flowers to a loved one, there’s a variety of warm seasonal flowers, organic textures and earthy tones to ensure you capture the beauty of the season. Capture the best of autumn flowers with our home décor trends for 2015. Calla lilies, roses, hydrangea and Gerbera are the seasons most popular flower choices at this time of the month. For added vibrancy, sunflowers and orchids also work well to add a pop to flower arrangements and brighten up your home. This autumn, consider pairing autumn blooms like daises, chrysanthemums, asters and sunflowers with more traditional flowers like roses, hydrangea and lilies. For a distinct autumn feel, work berries and foliage into your corporate flower arrangements for an autumn feel. Meanwhile rosemary, sage and mint leaves double up as spectacular autumnal scents, which not only work great visually for flower arrangements, but add a wonderful scent to the bouquets within your home. More than just golden yellows, browns, oranges and green, autumn have so much more to offer, beautiful vivid shades that capture an autumn feel. Burgundy, golds, deep reds, vibrant corals, bronze, plum, Aubergine and rich creams are just some of the shades to choose from. For instance deep purple or burgundy calla lilies create a distinct autumn feel, whilst Hypericum berries, twine, wood, bark, lotus pods and woolly lamb’s ear, go a long way to adding an earthy feel and capturing an autumn feel, whilst adding plenty of texture and character to bouquets. Get into the fall season, by bringing all the colours of autumn leaves into your home with line of striking flower designs and arrangements. Dahlias. Beautiful full blooms with showy flower heads, flower from summer to autumn and come in gorgeous autumn shades of plum, peach and orange. These striking flowers look great own their own working as beautiful focal points within the home, but look just as great arranged amongst other flowers. Salvias. Are beautiful clustered flowers that come in purple, their vibrant shades looks striking on its own and work just as well to add texture, height and volume to autumn flower arrangements. Camellia. These striking purple flowers often announce the start of autumn, its full figure and vibrant shades make a gorgeous addition to autumn earthy coloured floral arrangements. Chrysanthemum. These delightful plants add bold splashes of colour to flower bouquets ad decorate indoor spaces beautifully. Sunflowers. For sunnier shadows, how about an arrangement of vibrant sunflowers, paired with wine, roses, red Gerberas and green chrysanthemums. Roses. Roses in peachy shades, coral, deep red, orange are truly breathtaking and perfectly reflect the autumn season. Add plenty of foliage or berries for added texture. Purple Haze. For a touch of pure luxury consider the arrangements of Avalanche white roses, exquisite purple centres calla lilies, purple Carnations and lavender lisianthus finish this arrangement beautifully. Purple Sundae. This bouquet is rich in colour and texture, its splash of vibrant colours, pink lilies, pale pink roses, Purple Gerbera, lush, glossy leaves and white Gypsophila, work to add a vintage finish. Orange Mist. If you’re looking to keep it bright, a bouquet of orange tulips, orange Avalanche roses, red roses, burgundy Carnations and forest green shoots make a rich seasonal arrangement to brighten indoor spaces. Autumn Nights. Moonlight Carnations, purple trachelium and Yellow roses surrounded by green foliage make for a rich autumn bouquet, sure to warm any indoor space. Rich shades. Brighten up bouquets and add texture by Intrigating berries stems to your flower arrangements. For grande bouquets, opt for pale orange peonies, orange and deep red roses and green shoots. Autumn Meadow. Autumn infused colours continue in an arrangement of orange calla lilies, orange garden roses, red Gerberas and lush green foliage. Just as spectacular are, plum Chrysanthemum, purple Dianthus, purple lisianthus and green foliage. Succulents. Although not a flower, succulents has risen in popularity to become a plant of choice, seen in many bouquets. Available year round, it comes in autumn shades of rich purple, green and pomegranate. With leaves that take on a petal like form, succulents mix beautifully with flowers, making beautiful bouquets. Vases fit for autumn. Go the extra mile by choosing pots and vases in rich colours that compliment your floral arrangements. Trending this fall are containers in copper, gold or amber. Whether it’s going earthy with wooden containers or choosing pots in shades of gold or copper, each capture the season perfectly. Alternatively opt for antique urns, to add character to your floral arrangements. If glass vases are your thing, add the autumn touch by filling the base with wheat, berries or grain. If you’ve taken a liking to any of the above, want to usher in autumns warm floral tones into your home or share its beauty with loved ones, London corporate florist Todich Floral Design will be happy to assist you perfectly capture the beauty of this gorgeous season.